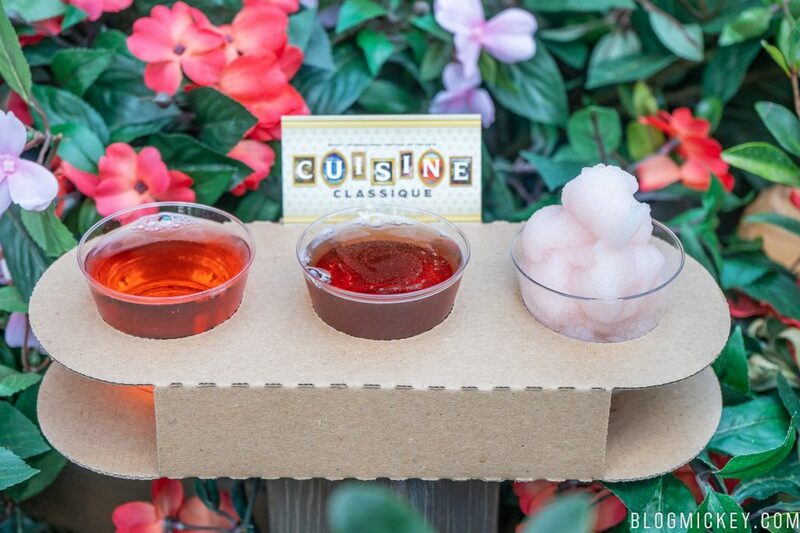 Welcome to a review of Cuisine Classique Food Studio at the 2019 Epcot International Festival of the Arts. Cuisine Classique debuted in 2017 and is described by Disney as Braised dishes inspired by classic art of the 18th and 19th centuries. 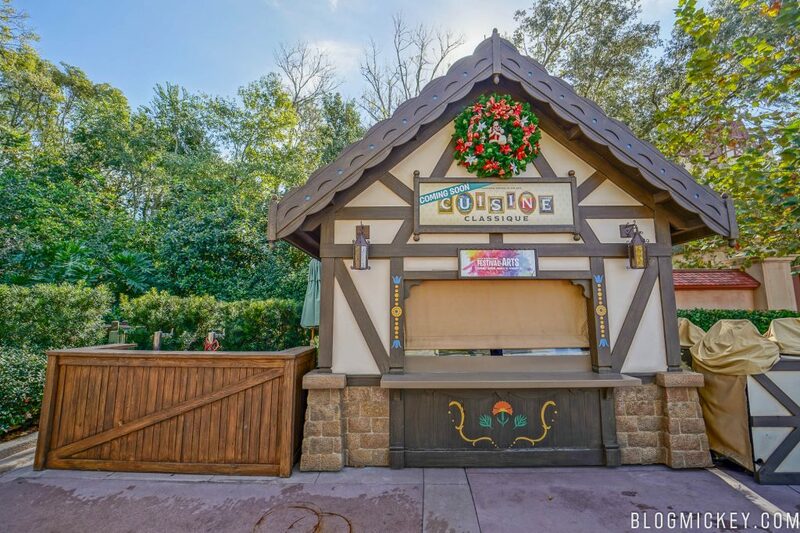 Cuisine Classique Food Studio is located near the Germany Pavilion. 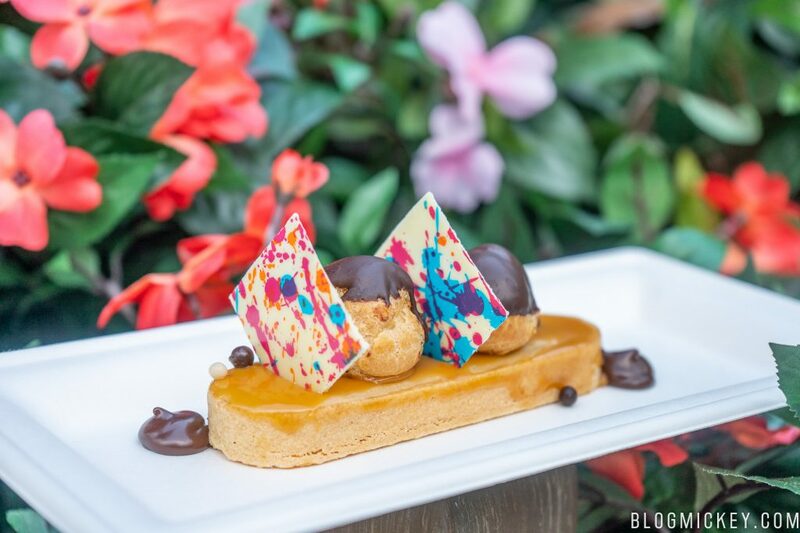 This review will cover the items available for purchase during the 2019 Epcot International Festival of the Arts which runs daily from January 18, 2019 to February 25, 2019. 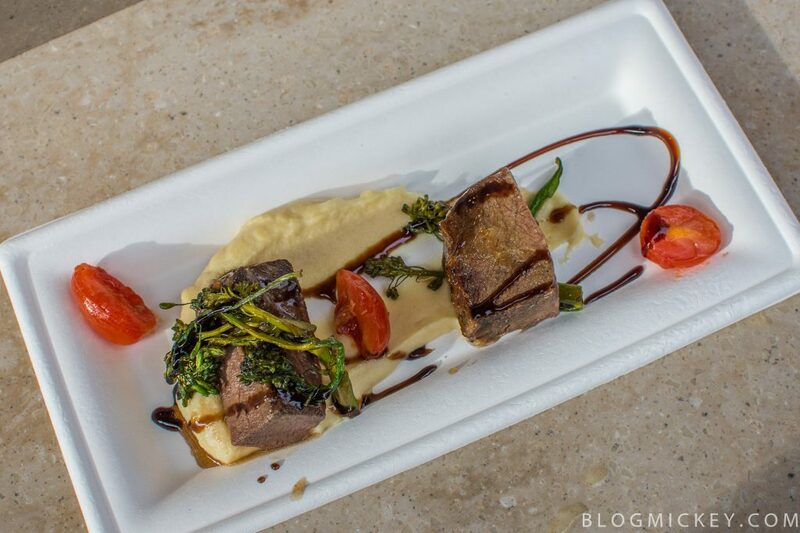 The Red-Wise braised Beef Short-Rib was served with parsnip puree, broccolini, baby tomatoes, and aged balsamic. This short rib was as soft as it is flavorful. Maybe a bit bigger than the photo depicts, you’ll be able to get 6 or more bites out of this dish. Also of interest is the parsnip puree, it was delicious. This is a solid plate and worth the $8. We can recommend it. 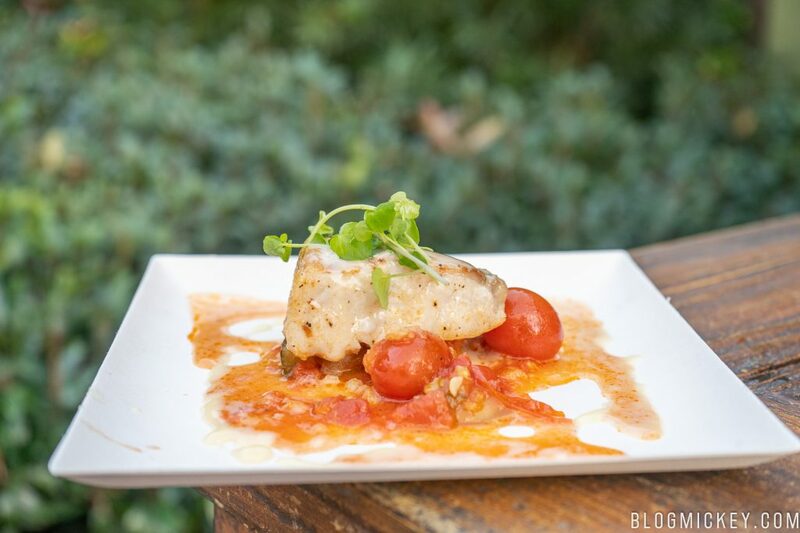 The Seared Corvina is served with braised ratatouille and lemon-thyme beurre blanc. A flaky, light fish that was also light on flavor. The lemon-thyme beurre blanc wasn’t enough to save the dish from earning a pass from us. We long for the days when Cuisine Classique had a wonderful snapper with a better helping of accompaniments. The Saint-Honore Tart is a caramel cream tart with caramel glaze topped with cream puffs. A wonderful caramel taste joins you throughout the dessert with an upgraded white chocolate art from last year. The cream puffs were filled to the brim with cream and pushed this dish over the top in terms of recommendations. At $6.00, the price is the same as last year and the tart is as good as ever. We can recommend this dish. We actually really enjoyed this flight. Each of the drinks was unique enough to justify the purchase, while still containing a rose feel and flavor throughout. We found that the Angry Orchard contained the classic cider flavoring with a rose finish. The Rose Ale was actually a bit hoppier than we had anticipated, but it was still smooth and easy on the palate. The frose contained a classic flavor and will probably be a welcome reprieve from some of our 80 degree January and February days. Cuisine Classique makes a wise decision by keeping the Red Wine-braised Beef Short-Rib. It’s a good enough dish to draw you in, and while you’re there you might as well get the tart and flight. You can safely skip the corvina and have a good experience at this Food Studio. Cuisine Classique is certainly in the top half of Food Studios this year.